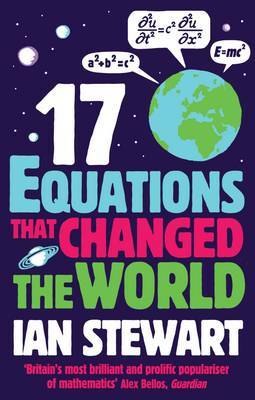 From Newton's Law of Gravity to the Black-Scholes model used by bankers to predict the markets, equations, are everywhere -- and they are fundamental to everyday life.Seventeen Equations that Changed the World examines seventeen ground-breaking equations that have altered the course of human history. He explores how Pythagoras's Theorem led to GPS and Satnav; how logarithms are applied in architecture; why imaginary numbers were important in the development of the digital camera, and what is really going on with Schroedinger's cat. Entertaining, surprising and vastly informative, Seventeen Equations that Changed the World is a highly original exploration -- and explanation -- of life on earth.